A short notice on the Supreme People’s Court’s websites and Wechat on 2 March (linked here) announced the launch of an 8 month campaign in the military courts to clear out a backlog of major civil disputes. The announcement (and related information) gives the outside world a peek behind the curtain of the almost 100 military courts. Any lawyer involved in due diligence projects in China in the last 15 or more years will have encountered issues related to Chinese military law, particularly land issues, but the issues targeted in the campaign are much broader. The Chinese military court system, a system to itself within the Chinese court system, apparently has attracted little attention outside of China (or at least in open sources). The military court system is headed by the PLA Military Court, which is under the Political Department of the Central Military Commission, and under the Supreme People’s Court. Below the PLA Military Court there are courts in the military regions as well as the military services–Navy, Air Force, Armed Police and below those courts, basic level courts within each of these regions, military services, and other units (see this description. Although several articles in the Chinese press suggest that the military courts are more transparent than before, national security concerns apparently mean that the transparency measures being pushed by the Court leadership have not yet extended to the military courts. For example, the judgment debtor database established in the fall of 2013 includes all the courts but the military ones (although some military-linked companies can be found in the database). The Court’s websites link to websites of the provincial-level local courts, but not that of the military courts. However, internet searches (as well as searches of legal databases) will turn up many reports of cases involving both the civilian and military court systems. The Third Plenum Decision called for improvement in military legislation, and it is understood to include judicial reforms in the military courts. 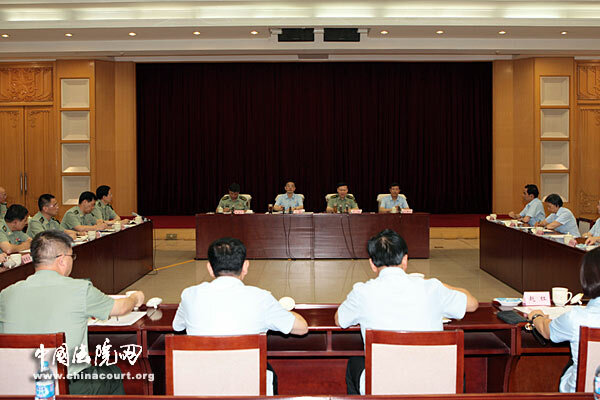 The head of the PLA Military Court stated that judicial reforms included improving the quality of military justice, including the quality of cases handled. What that involves has not been revealed in the open press, although presumably these are issues for the leadership of the PLA military court. It is likely that increased training of military judicial personnel will be part of the solution,both within the military system and outside it. Civil, rather than criminal cases, are the focus of the clear up campaign. The military courts have heard over 2500 civil cases, most of which have been settled. The Chinese military courts have civil jurisdiction, most recently under a judicial interpretation in the form of regulations issued by the Supreme People’s Court in 2012, “Provisions on Several Issues Concerning the Jurisdiction of Military Courts in Civil Cases” （Civil Cases Jurisdiction Provisions, linked here) and a previous 2010 notice. The rationale for giving military courts civil jurisdiction is to enable certain types of civil disputes to be resolved more effective, because the local court have encountered difficulties in dealing with them. Difficulties cited range from serving military personnel or military entities, freezing military assets, obtaining evidence held by military entities, having military personnel attend hearings in the civilian courts, and enforcing judgments against military entities. military real property disputes with a military individual or entity as party. civil cases can be transferred to and from the military and local courts, respectively. 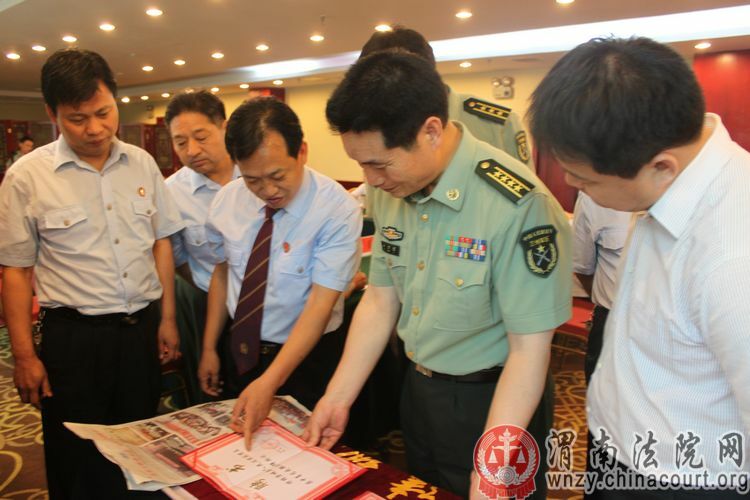 The PLA Military Court has issued regulations further specifying the jurisdiction of various levels of military courts, that have been summarized in the press but not made public. military entities have contract disputes involving construction of military installation as well as military goods and services procured. Greater engagement with the outside world? It is unclear whether military exchanges with foreign armed forces have included the military courts, or whether the PLA Military Court (or the Central Military Commission) would welcome further engagement with the outside world. Presumably efforts aimed at increasing the role of law within the military and strengthening the military courts would benefit all. This entry was posted in Court Operations, Court Reform, Military courts and tagged Chinese court reform, Chinese judiciary, Chinese military courts, PLA Military Court, Supreme People's Court.